I have been riding a while but due to certain issues I was out for a while. I am picking up my new bike to me on Friday. 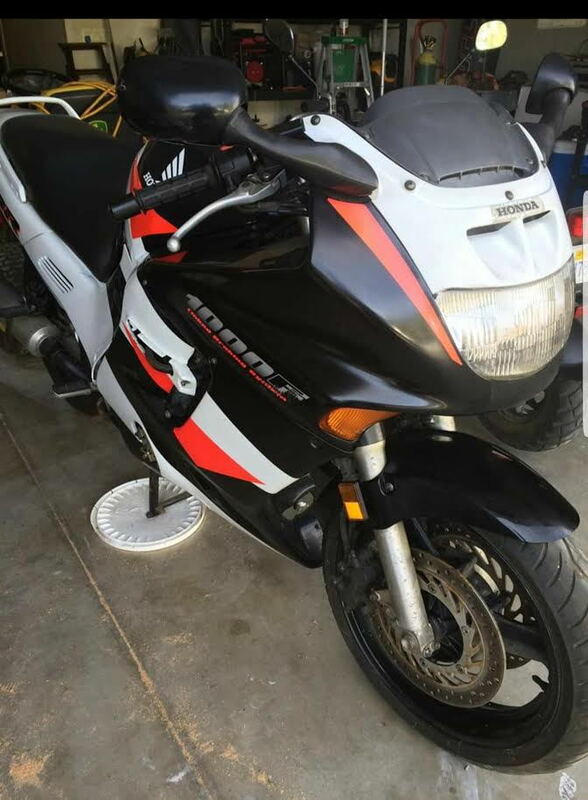 It is a 1994 Honda CBR 1000F. This is my first time owning a Honda. My other bikes have been Suzuki, Kawasaki. So now its Honda time. The bike has about 44,000 miles and in very good condition. It was dropped on its left side so there are some minor scrapes. but nothing major. I am pretty sure the crankcase needs replaced as it has a hair line crack on the bottom bolt side, ( No biggie) its missing 2 little fairings on each side as you see in pic but I am not sweating that. I picked this up for $1,000 I think I did well. So looking forward to getting back on 2 wheels again. and looking forward to being a part of this forum. Those covers are hard to hind. You will have to keep searching e-bay. I have a '94 as also. I actually found this EU web site who have them, pricey but its a great site https://www.motorcyclespareparts.eu/en I just found it last night. Hi. New member from Cali.